From locking the doors at night and vanquishing pesky roaches to being personal bankers and graciously granting us loans, it's time we repay the old man for his fine work. And when it comes to showing dad you care, few things compare to gathering the family together over a meal. Miami Beach’s newest Japanese-Peruvian restaurant, Chotto Matte, will celebrate Father’s Day with a complimentary Inca Manhattan offered to dads who order a 21-Day Aged Cowboy Steak, served with a trio of sauces including Teriyaki, anticucho, and chimichurri. Both the 21-Day Aged Cowboy Steak and Inca Manhattan (made with Maker’s Mark whiskey, tonka, Dolin red & dry, caramel, Fernet Branca Menta and lemon oil) are made to share, so the whole family will reap the benefits of the holiday and experience the London hotspot’s first U.S. location. Father’s Day gift bags will be sold for $40 and include a VEZA SUR Brewing Co. t-shirt, hat, coaster, 32 oz. growler with gift card to fill, glassware, and bottle opener. 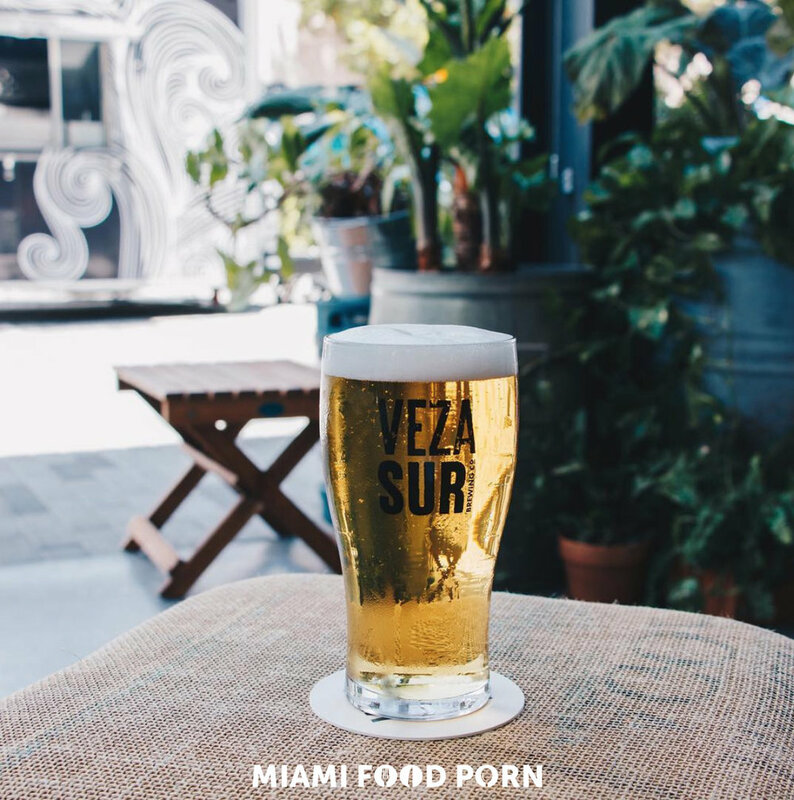 For the beer connoisseur in your life, Veza Sur is also offering two tickets to its Brewery 101 class taught by co-founder Marshall Hendrickson on June 20 for an additional $20 with the gift bag. The Deal: Market is cooking up a special unlimited breakfast table. Enjoy a selection of bites and dishes from the raw bar, charcuterie, hot station, and the pastry pod for $49 per person. The price includes one local draft beer for dad. In addition Market will be serving $6 local draft beers, $10 tropical mimosas and $12 aperol spritz & Market Negronis. The Deal: For the dad who appreciates a good party, No. 3 Social’s newly launched Pig and Paella Sundays on the rooftop is the perfect way to celebrate. No. 3 Social will host its weekly Straight Up & Dirty party with DJ THAT KID CHRIS & friends playing the latest in chill techno and sophisticated lounge music. Families can share a bucket of beer (choice of PBR or Porkslap Pale Ale) while chowing down on Chef Norman Van Aken’s fresh pulled pork bao buns and paella at $25 per person. The Deal: Dads who can stand the heat are invited to take to the kitchen with an intimate grilling masterclass at Faena Miami Beach. Los Fuegos Chef de Cuisine Cristian Menendez – apprentice of world renowned grill master, Francis Mallmann – will teach Mallmann’s signature live-fire cooking techniques and ingredient preparation for an array of mouthwatering dishes, including smoked shrimps ‘a la plancha,’ salt-crusted whole red snapper, and Mallmann’s famous Beef Tenderloin Milanesa. Throughout the class, guests will enjoy the fruits of their labor and sip on a curated selection of wine pairings before leaving with an autographed copy of Francis Mallmann’s best-selling cookbook and a recipe card with which they can perfect their open-flame culinary skills. The Deal: The Father’s Day festivities continue at Los Fuegos’ Sunday Asado. At this buffet-style brunch, treat dad to unlimited mimosas and beer while the asador prepares a multi-course feast of slow-cooked meats, succulent seafood, flame-licked vegetables, sweetbreads and more. To complete an afternoon of ultimate relaxation, all fathers will receive a complimentary hand-rolled cigar to enjoy over live musical acts under the summer sun. The Deal: Welcomed with a cocktail, dads can kick off their #SundayFunday with a boozy brunch at Nautilus South Beach. Featuring a bottomless Veuve Clicquot brunch at $95, dads can feast from the brunch buffet spread, which includes oysters, ceviche, salads, a Mediterranean table, cheese tables, meat carving station and more, as the live Cuban band Chaing Y su Trova Espirituana serenades. The Classic Brunch ($55) sans alcohol or bottomless Rosé ($69) will also be available. The Deal: Guests can brunch while taking in a breathtaking ocean view at Matador Room’s Terrace space. Savor delicious menu items like huevos rancheros made with local farm eggs, or share a black truffle and fontina pizza with your family. Add a bottomless cocktail package for $45 per person that includes Bloody Mary’s, bellinis and mimosas. Enjoy a Latin American style brunch buffet at Quinto la Huella. Guests can indulge in a selection of meats from the parrilla including steak, chicken, and sausage as well as an assortment of grilled vegetables, pastas, salads and more. Cheers the occasion with friends and family with $25 bottomless rosé and mimosas, while enjoying the live entertainment. Complimentary draft beers will be served to fathers all day. Located in the epicenter of Miami’s popular Midtown neighborhood, Skorpios combines signature Greek cuisine with South Florida flare. Join Skorpios on Father's Day for ‘Zorba the Greek SundayBrunch,’ which offers a variety of hot and cold mezes, greek salads, whole fish and suvlaki, as well as mouthwatering desserts all for $35 per person. Pair the dishes with bottomless mimosas, bellinis and Bloody Mary’s for $20 per person. Dads can enjoy a complimentary Zorba, a Greek cocktail, upon arrival. The Deal: Treat dad this Father’s Day to a bountiful brunch of local favorites, including The Local Breakfast, Steak & Eggs, Seafood Scramble, Buttery Lobster Egg Benedicts and the Huevos Rancheros. Raise a glass to dad and pair your meal with one of The Local House’s refreshing morning cocktails or bottles of wine. Insider tip: Try the Summer Air cocktail, made with Prosecco, Champagne, Elderflower, Peach & Lavender Bitter, and celebrate dad in style. 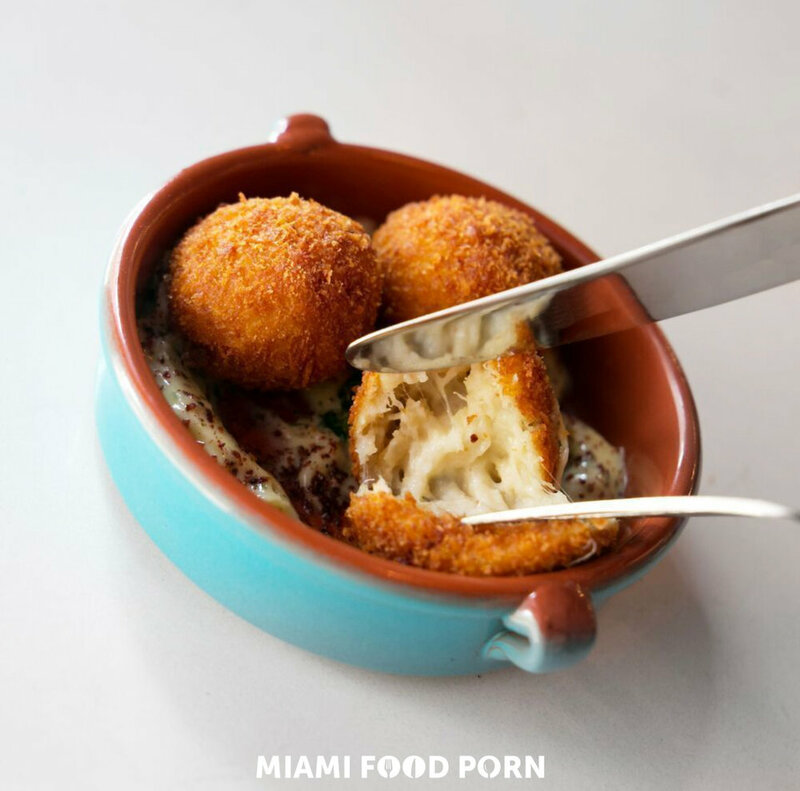 Celebrate dad at Malibu Farm Miami Beach with craft beers, fresh food, and a breathtaking view. 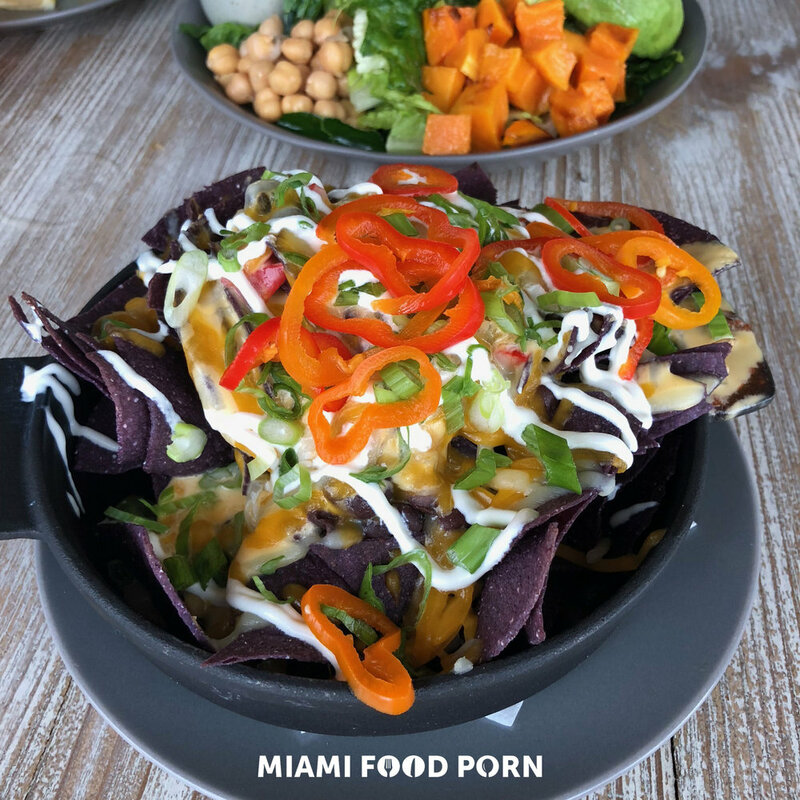 The popular fresh, local restaurant offers a beachfront dining experience and, this Father’s Day, enjoy a special “Tap Takeover” tasting menu featuring Biscayne Bay Brewing Company’s most popular brews. The $35 Father’s Day special includes a flight of four Biscayne Bay Brewing Company beers (4 oz. each) paired with four different appetizers specially created by Malibu Farm’s Chef Helene Henderson. Dads can also enjoy $12 individual appetizers and $5 draft beer all weekend. For an affordable five-course brunch, head to Smokey Bones for Southern Buttermilk Biscuits with Honey Butter, Baby Back Ribs, Belgian Waffles, Brunch Burger served on waffle buns, Chicken & Waffle Sandwich, a Waffle Sundae. It'll leave the whole family unbuttoning their pants, while dad finishes leftovers. Families can also opt for bottomless mimosas or Bloody Mary’s for $15 per person. The Deal: $5 Free Dive IPA, $6 Modelos and $6 chicken, pork or mushroom tacos. Let loose at one of the freshest Mexican street food experiences.